If you’ve ever wanted to learn how to fly, Upswing’s unique bungee dance technique will empower you to bounce and soar weightlessly through the air. Attached to a specifically designed harness, you can learn how to defy gravity with grace and ease. During the intensive one-and-a-half hour session, you will get a taste of how to defy gravity with grace and ease. 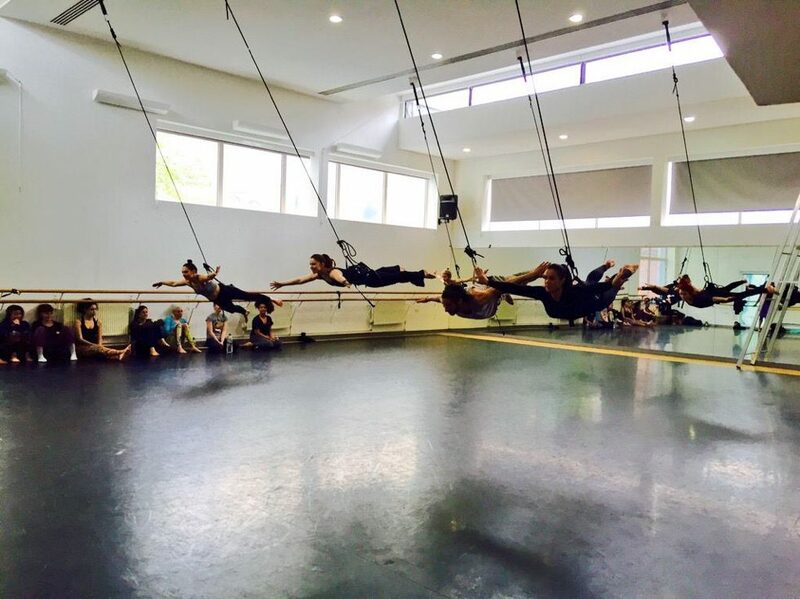 During the Taster session, you will work with experienced dance and aerial teachers to try out basic Bungee Dance techniques and cultivate your control, core strength and coordination. 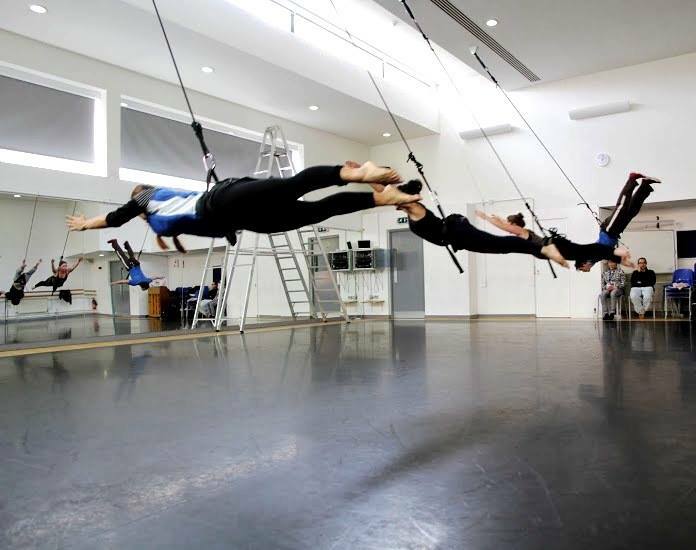 Masterclasses are intensive four-hour sessions lead by experienced dance and aerial teachers. They will cultivate your control and skills, coaching you in basic moves that culminate in a choreographed group routine at the end of class. Beginner’s classes specialise in core bungee dance technique, perfect for first-timers who are ready to try something new. Once you’ve taken this class, you’re ready to progress your skillset in the intermediate masterclasses. To find out more about our classes, including the level of fitness you need for each one, click here. Upswing is a registered charity, all profits go directly back in to subsidising the important work they do with disadvantaged people, find out how you can be involved here. Sign up here to join our mailing list and receive updates on future masterclasses and workshops.